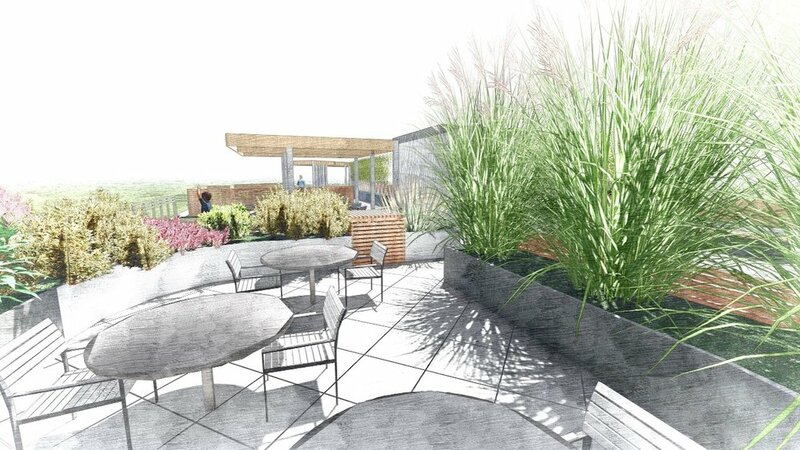 This project is a roof deck renovation atop a centrally located DC apartment building. 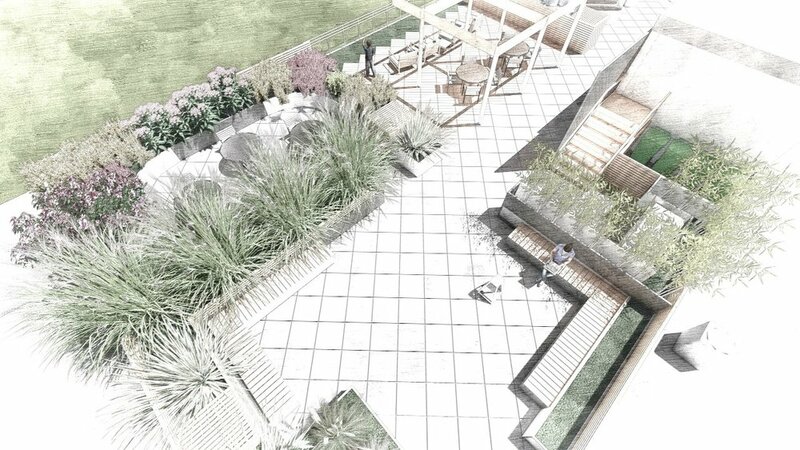 The project aims to create a welcoming and useful space for apartment residents. 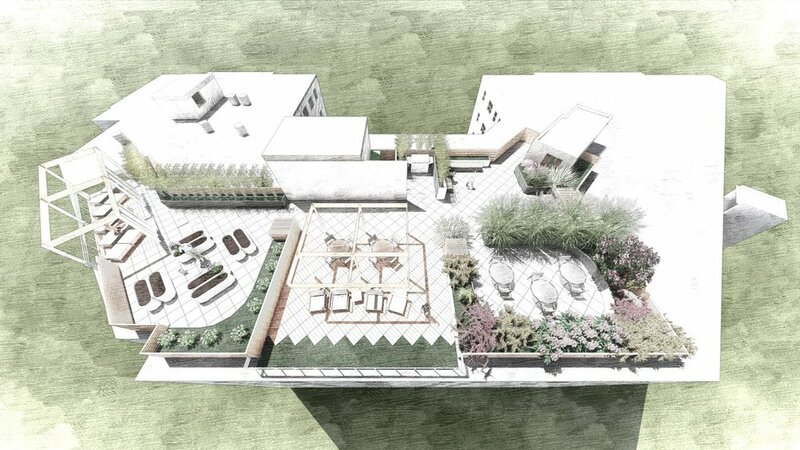 The design approaches this task through providing various rooftop zones, such as a sunbathing area, working garden, viewpoint, grill, 'reading room' and immersive flower garden. Spaces cater to multiple age groups, uses, and types of experiences, sometimes creating more intimate, enclosed areas, while at other times allowing for integration with the larger urban landscape by highlighting views of the National Cathedral, National Zoo, or Adams Morgan. The design is conscious of existing conditions, reusing existing pavers, and integrating existing mechanical equipment into screening structures. The final effect is a common design language that creates a seemless and fully integrated space.